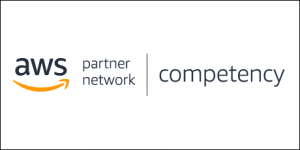 The AWS Competency Program highlights top AWS Partner Network (APN) Partners that have demonstrated technical proficiency and provencustomer success in specialized solution areas. To help APN Consulting Partners better understand this process and our validation requirements, we are releasing new versions of the AWS Competency Validation Checklists. The checklists highlighted in this post are specific for APN Consulting Partners, who in many cases undergo technical validation through ISSI, a third-party auditor. If you’re an APN Technology Partner, please see this blog post for your validation checklists. What’s Included in the Validation Checklists for APN Consulting Partners? These checklists outline for APN Consulting Partners the customer case study and technical criteria needed to achieve the AWS Competency designation. We have revised the requirements for some of our checklists around the pillars of the AWS Well-Architected Framework. For other solutions, we are identifying key characteristics of a standout AWS practice and building validation requirements around those elements. AWS Life Sciences Competency Partners help conduct drug discovery, research and develop novel genetic-based treatments, manage clinical trials, and engage in biopharma manufacturing and distribution activities. AWS Microsoft Workloads Competency Partners have validated technical capabilities and demonstrated success in helping customers migrate, manage, or deploy Microsoft Workloads to AWS. AWS Government Competency Partners provide solutions to—and/or have deep experience working with—customers in government to deliver mission-critical workloads and applications on AWS. AWS Oracle Competency Partners have demonstrated success helping customers architect, deploy, and manage Oracle-based workloads running on the AWS Cloud. AWS Storage Competency Partners help customers evaluate and use the techniques and technologies of effectively storing data on the AWS Cloud. AWS DevOps Competency Partners help businesses implement continuous integration and continuous delivery practices, and help them automate infrastructure provisioning and management with configuration management tools on AWS. AWS Data & Analytics Competency Partners have proven success helping customers evaluate and use the tools, techniques, and technologies of working with data productively, at any scale. Now, businesses of all sizes can take advantage of big data technologies and easily collect, store, process, analyze, and share their data. AWS IoT Competency Partners have demonstrated success in building products and solutions on AWS to support customers in multiple areas, including intelligent factories, smart cities, energy, automotive, transportation, and healthcare. How Has the APN Re-Engineered the Validation Process? APN Consulting Partners have told us the AWS Competency Program requirements were not clearly defined, nor were they aligned with the expectations of the AWS technical review teams. To improve this experience, AWS and ISSI have re-engineered the validation process based on feedback from AWS Competency validations conducted over the past three years. We have removed the requirement to provide documentation to auditors in advance of the validation call. The expectation now is that APN Consulting Partners be prepared to present the required Competency-specific solutions using architectural diagrams and related design details during the remote audit session. This allows the session to be more of a deep dive and less of a check-the-boxes audit. APN Consulting Partners are encouraged to invite appropriate members of their technical teams to the call, as well as subject matter experts who can describe and answer questions about the customer case studies and other evidence being presented. AWS Solutions Architects will be participating in these calls whenever possible in order to add their technical knowledge to the discussion. Recent process improvements have contributed to a reduction in turnaround time for AWS Competency applications. After the validation call, APN Consulting Partners will receive a Summary report indicating any Action Items requiring a response. Clear timelines are communicated, and APN Partners have five business days to respond to any identified Action Item. After any responses are received, the Final Report is submitted to AWS, also within five business days. 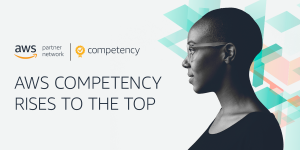 The final determination of acceptance into the AWS Competency Program is made after AWS receives the final validation report and no longer than 20 business days from receipt of the final report. The sharing of OFIs has been part of the AWS Managed Service Provider (MSP) Program since its inception. While no actions are required in response to OFIs, they allow auditors to share best practices with APN Consulting Partners and provide recommendations for continual improvement. This consultative approach ensures that APN Partners have a positive and valuable audit experience.